I am in love with Stripes! 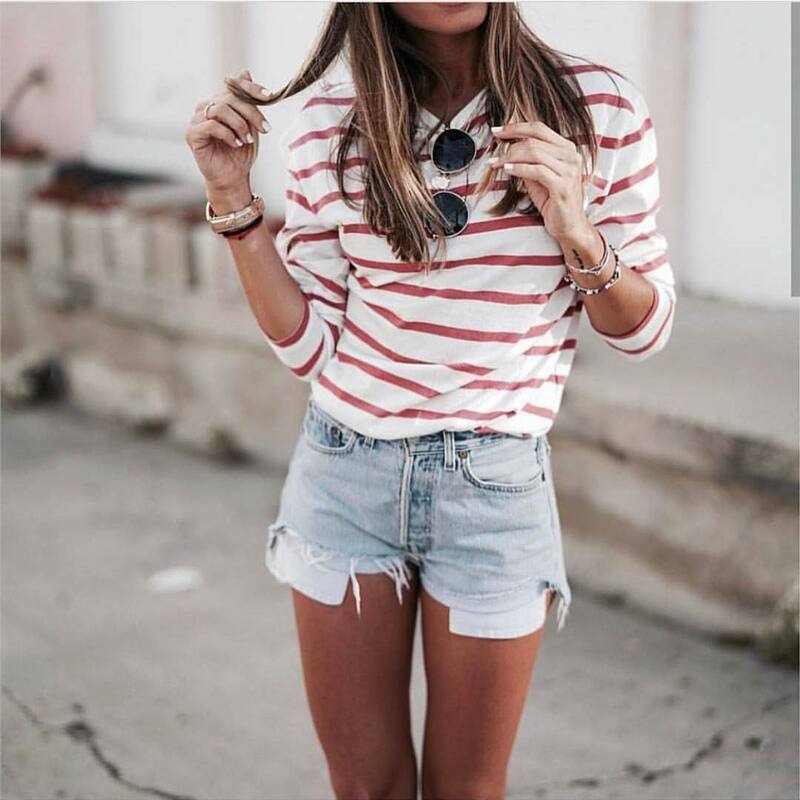 Go casual this Summer by wearing a red-white striped long sleeve top with wash-blue denim shorts. Complete this combo by adding rounded sunglasses and cool sneakers.